There are many components vital to running efficiency including: strength, balance, running form, start mechanics, and core stability/strength. In order to increase running speed you must consider: stride length (the length of your step while running) and stride frequency (how fast our legs turn over when you run). Flexibility comes into play when we consider if your hip flexors (the front of your hip) or hamstrings (back of the thigh) are tight. If so, then you cannot have optimal stride length. This results in less effective running mechanics. 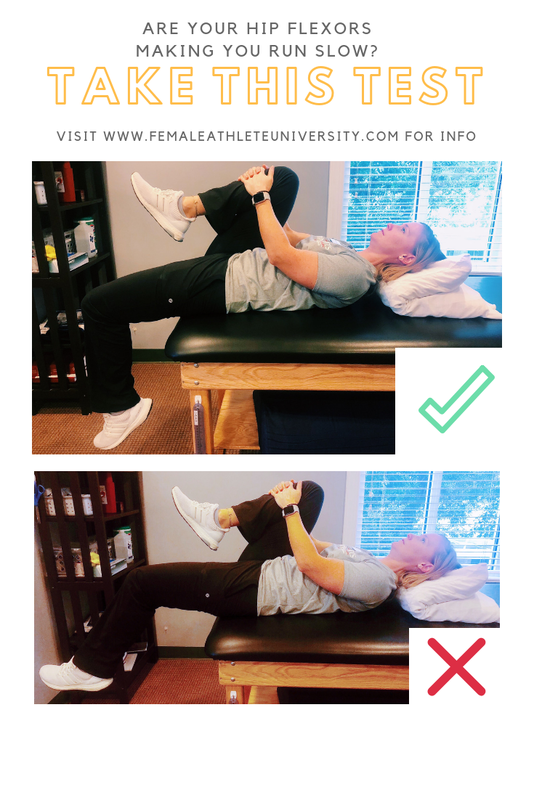 If the hanging left thigh does not touch the table, this indicates stiffness through the left hip flexors. This tightness will place more stress on your back when you run and is one of the leading causes of back pain in athletes. If you are limited in your hip flexor flexibility, incorporate the following stretch after running. Perform on each leg, performing 2 sets, holding for 1 minute each. Try the following variations and find which feels the best to you. Remember to tuck your tailbone and squeeze your glutes, without arching your back. You should feel this in the front of the hip or front of the thigh. You should be able to straighten your knee with minimal tightness. If not, this indicates tightness in your hamstring. This tightness can put more stress on your pelvis and back. If you are limited in your hamstring flexibility incorporate the following stretch after running. Perform on each leg, performing 2 sets, holding for 1 minute each. Try the following variations and find which feels the best to you. Remember to keep your hips pointing forward and back straight. You should feel this in the back of the thigh.